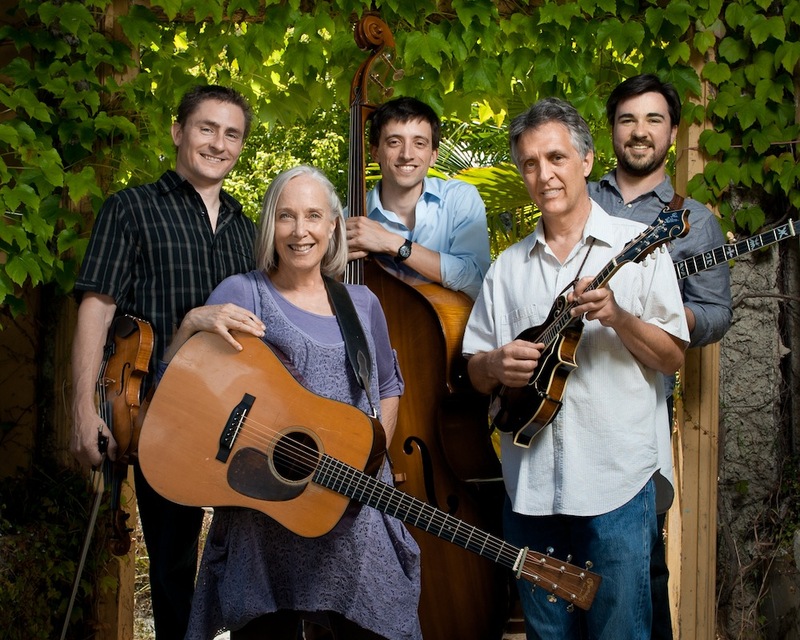 We are extremely pleased to welcome back Laurie Lewis & The Right Hands to our series from Berkeley, California. The Right Hands consist of longtime sidekick, Tom Rozum, a spectacular manodlinist, singer, and guitarist, Southern California’s own Patrick Sauber on banjo and vocals, Chad Manning on fiddle, and Andrew Conklin on upright bass. Their music is a joy to behold. Read the recent article in Bluegrass Unlimited that gives a pretty fair assessment of Laurie’s music, including a bit about her most recent recordings, Laurie & Kathy Sing The Songs Of Vern & Ray, (with Kathy Kallick) and One Evening In May.